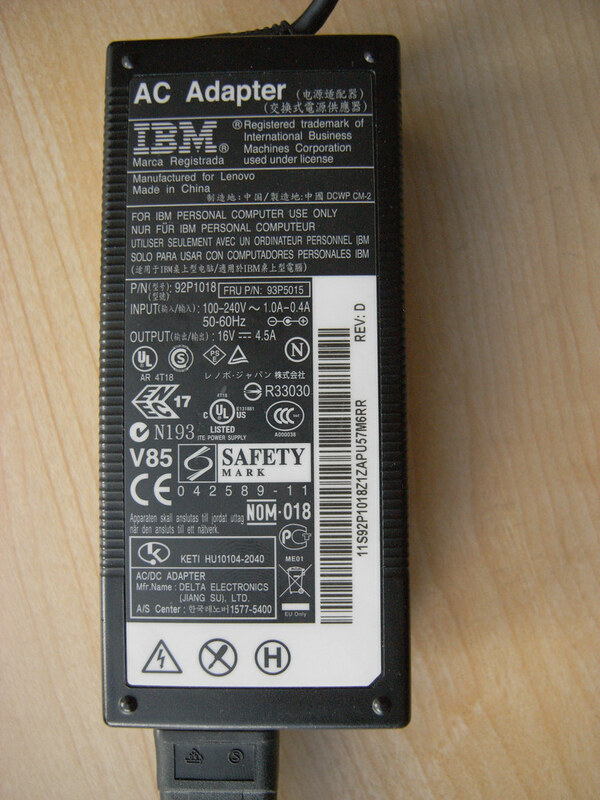 I was awed for some reason today by this power brick for a Lenova ThinkPad thingie. The assemblage of certifications, warrants and authentication badges almost defines how large the brick can be. What this made me think of is the thicket of contested hurdles objects and devices must vault over in order to become certificated, first-class citizens in the world. Each of these indications are backed, I’m fairly sure, by thick volumes of rules, parameters, minimums and maximums and costs for laboratory verifications, all part of the knotted assemblages of social-political-technical blessings that make a thing into a Thing. Why do I blog this? Been reading and listening to quite a good bit of Latour these days. Stumbled across this from Peter Ryan, a Ph.D. student at the University of Toronto while looking for Latour’s statements about visualization.